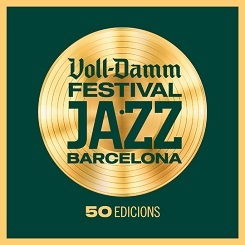 Speaking of festivals, Barcelona International Jazz Festival (Festival Internacional de Jazz de Barcelona) sponsored by Voll-Damm, is one of the most important jazz festivals of its kind in the world. Meticulous planning takes place all year round to produce a festival that uniquely balances heavy-weight artists with up-and-coming names in a program that is always appealing. The event is organized by “The Project” who took over the organization of this annual event since the early 90’s. Since then, the festival has been top-notch. The festival includes all styles of jazz and classical. 2018 marks the 50th Voll-Damm International Jazz Festival of Barcelona. All through October and November, there would be performances for renowned artists and groups such as Chucho Valdés Jazz Batá, Grupo Compay Segundo. The Bad Plus, Tribalistas, Billy Childs Quartet, Mark Turner & Ethan Iverson, Terraza-Boussaguet-Jones Trio and other hosts will also be live. While at the festival, your kids can participate in children’s shows, conferences and debates. There are also a master classes and sessions by music academy groups in a parallel program called “Barcelona is Jazz” which your family can take part in. Ensure also not to miss the Jazz & Food festival with your family. It is a day-long event, where you all will be treated to the best of Barcelona’s mouth-watering cuisine while you enjoy jazz music at its peak. It is a wonderful event where the families, visitors and tourists gather and have a lot of fun. Interestingly, there are no tickets for this event, as attendance is free! This is slated for Saturday, 29th of September, at Moll de la Fusta, from 11 am – 11 pm. Over fifteen concert halls are made available to artists in the International Barcelona Jazz festival. These can be found in all corners of the city and are easily accessible by public transport (metro and bus). Here is the list of halls where you can attend the concerts: Palau de la Música Catalana, Auditori del Fôrum, Barts, Cafè del Conservatori del Liceu, Cotton Club (Casino Barcelona), Cotton House, El Asador de Aranda, Harlem Jazz Club, Hotel El Palace, Luz de Gas, l’Auditori Sala 2, l’Auditori Sala 3, Monvínic, Razzmatazz, Teatre del Auditori Sant Cugat. It is possible to buy tickets for the events online by visiting the website, online or via telephone. Tickets will sell out quickly, so make sure that you move quickly if you have your eye on a particular gig. Whilst booking your tickets, it is worth considering getting a flight and to book your stay in our family aparthotel in Barcelona. Tip: keep an eye out throughout the program for that magical word “free”. Some of the festival’s events are taking place in public places and do not require you to purchase a ticket.